Stewart Lee - 41st Best Standup Ever! Stewart Lee: Who Is Kevin Eldon? Kevin Eldon is described as British comedy’s most prolific supporting star – and for the first time, he’s got his own show, It’s Kevin, starting on BBC Two. Kevin’s friend and long time collaborator Stewart Lee introduces who exactly this Kevin Eldon bloke is. The teenage Kevin Eldon occupied half a page in a book called Volume, Oliver Gray’s history of punk-era Southampton, where, in 1980, Kevin fronted a band called The Time. I met Kevin a decade or so later, at a stand-up gig at the De Hems pub in Soho, London, where we were both on the bill. He had a manic amphetamine energy, delivering a rolling cascade of obscure impressions at impossible velocity, a trait I later learned was the result of nothing other than terrible nerves. Watching him I realised there didn’t appear to be any voice he couldn’t do, and resolved to ask him to be the funny accent guy on a radio show I was working on with Richard Herring. Kevin has kindly credited us with ‘discovering’ him, but he already knew exactly where he was, and someone would have stumbled over him sooner or later. That night, I remember being confused by what this ancient figure – he must have been all of 31 – had been doing for 10 years, between his 1979 John Peel session and his 1990 stand-up debut, but Kevin has never been one to rush things. Kevin’s grateful collaborators, whose TV and radio shows have always been massively improved over the last 20 years by his supporting contributions, have all noted his meticulous, almost insane, attention to detail in voice and characterisation, and I have rarely seen the comedian Simon Munnery laugh more than when describing sitting backstage during one of Kevin’s multi-character live shows, and watching him trying to get methodically into character, whilst also trying to get into a succession of hats and wigs, all within the space of a 20 second turnaround. Kevin’s become a Zelig-like figure in British comedy, instantly recognisable to fans of quality shows, but rarely featured above the title. 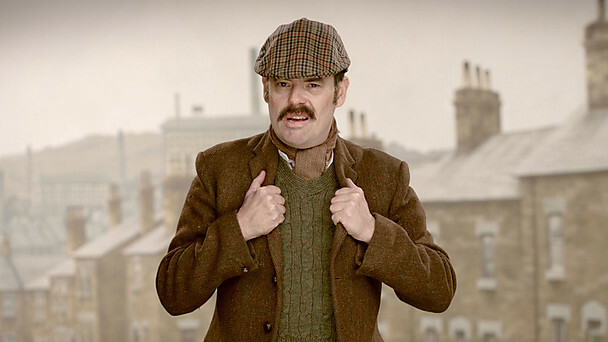 Despite the massive wellspring of goodwill towards Kevin within the comedy community, his progression towards fronting his own show has been steady and measured, rather like the growth of his signature character the poet Paul Hamilton, whose act grew by about a line a year over that last two decades until it was all of 15 minutes long, but oh what perfection those 15 minutes are. I expect It’s Kevin will display that same attention to detail, as well as the wild-eyed intensity that’s as evident on those old John Peel punk sessions as it is in the comedy characters that have made his name. Stewart Lee is a comedian who appears in episode three of It’s Kevin. It’s Kevin starts on BBC Two at 10.30pm on Sunday, 17 March. For further programme times, please see the episode guide.